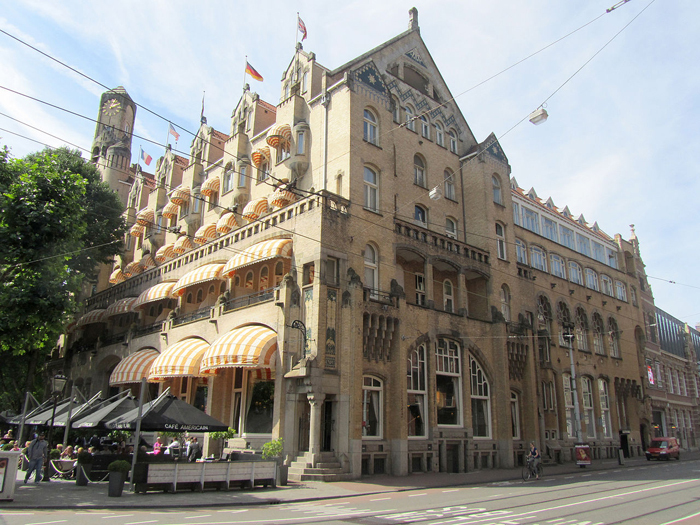 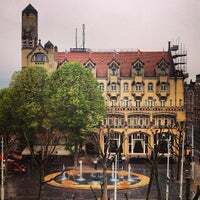 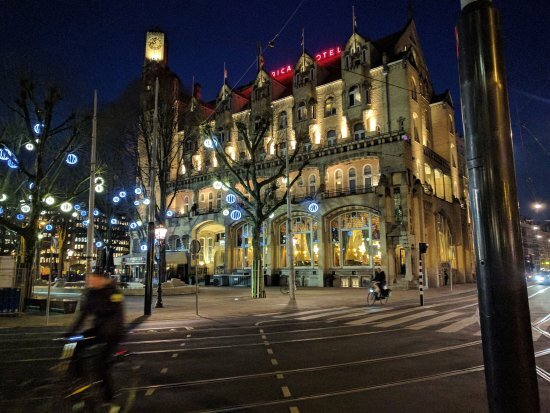 This elegant hotel was built in 1900 and is officially listed as a monument. 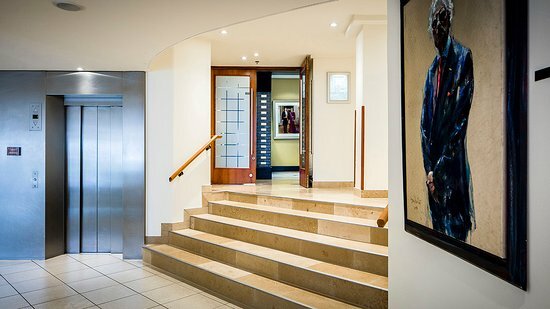 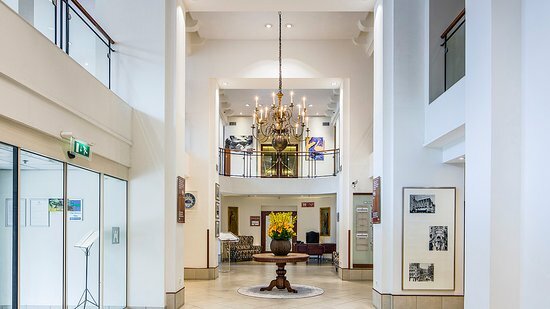 This hotel combines an elegant Art Deco heritage with modern facilities and the roaring twenties ambiance. 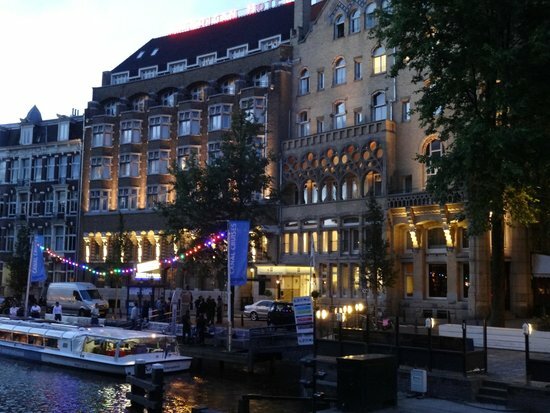 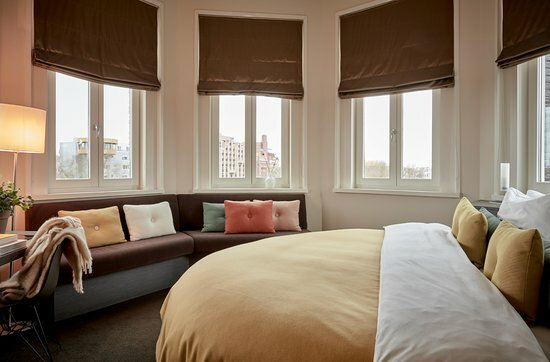 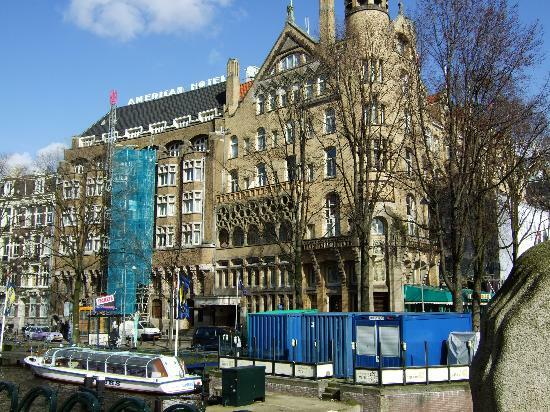 Hampshire Hotel - Amsterdam American is set on the edge of Leidseplein, right next to the DeLaMar Theatre. 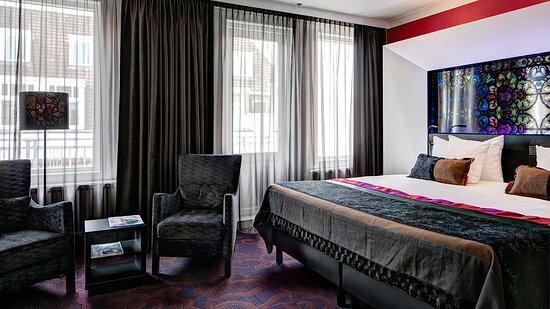 Hampshire Hotel - Amsterdam American benefits from air-conditioned rooms with free WiFi and extra long beds. 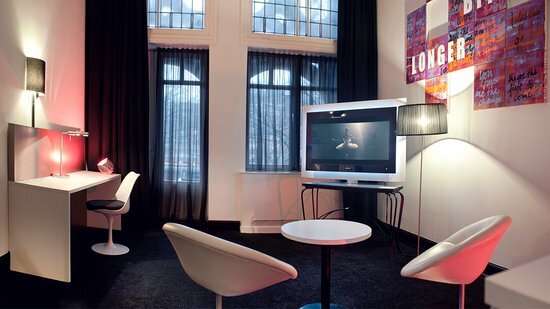 They also feature flat-screen satellite TV, a minibar and tea and coffee making equipment. 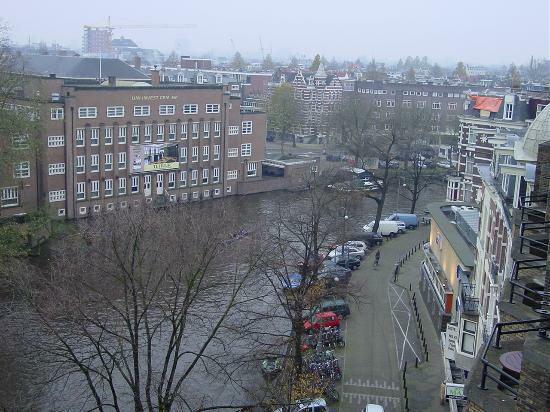 Some of the rooms boast canal or Leidseplein views. 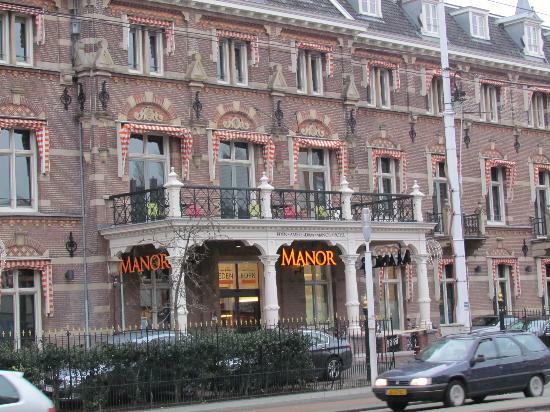 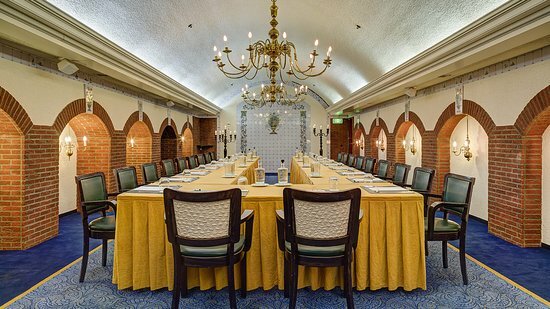 Guests can enjoy international cuisine at the famous Caf? 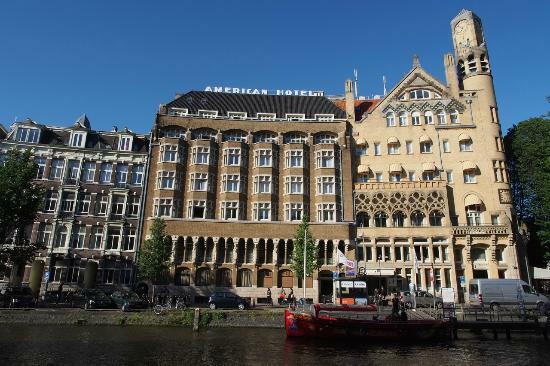 Americain. 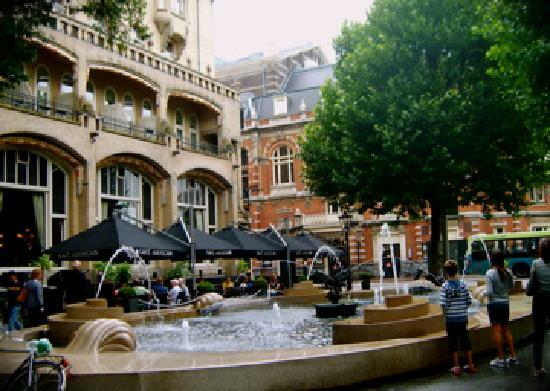 During the summer there is a terrace overlooking the street and the fountain in front of the hotel. 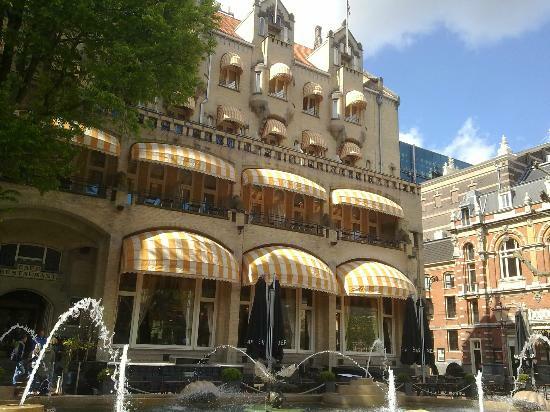 The bar serves cocktails and it is also possible to make a reservation for a High Tea in the afternoon. 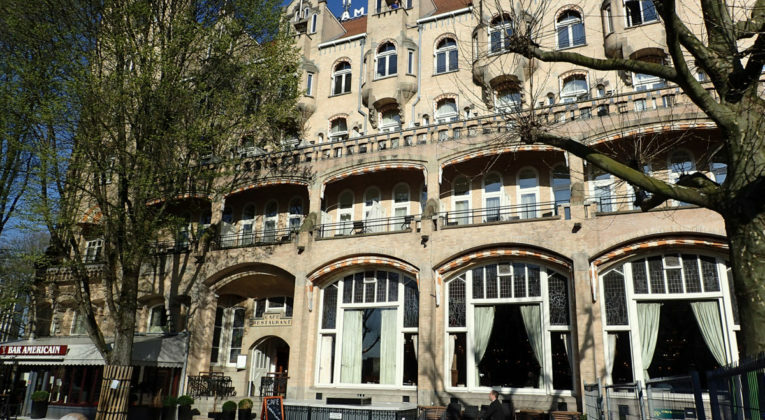 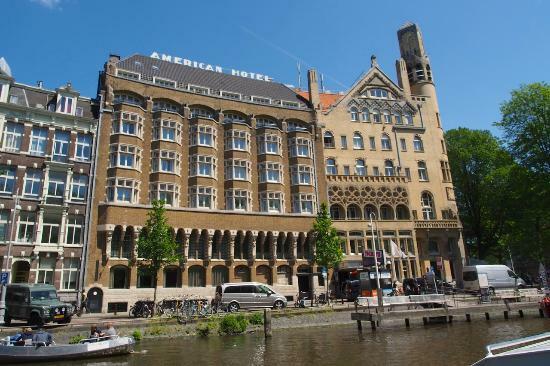 American Hotel is a 5-minute walk from Vondelpark and the P.C. 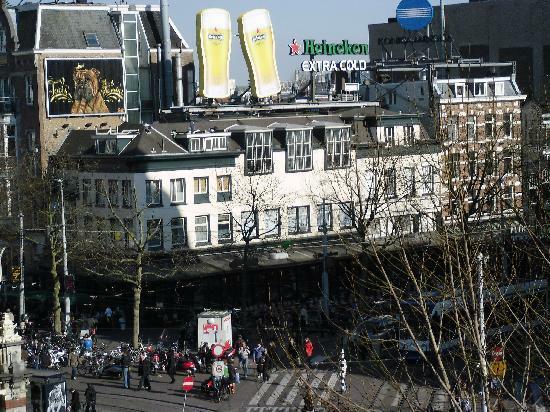 Hooftstraat shopping area. 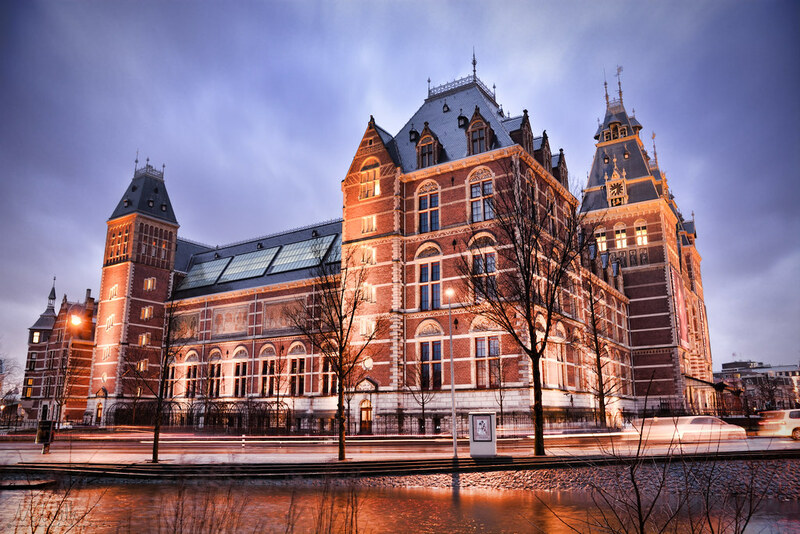 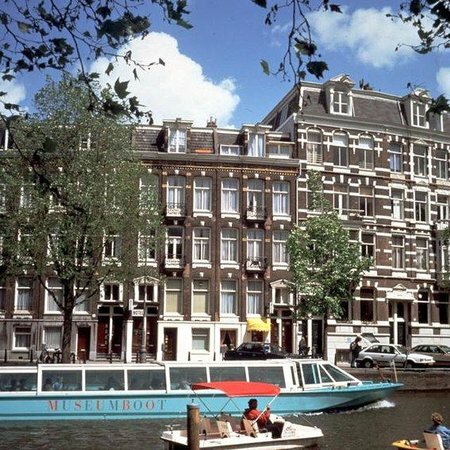 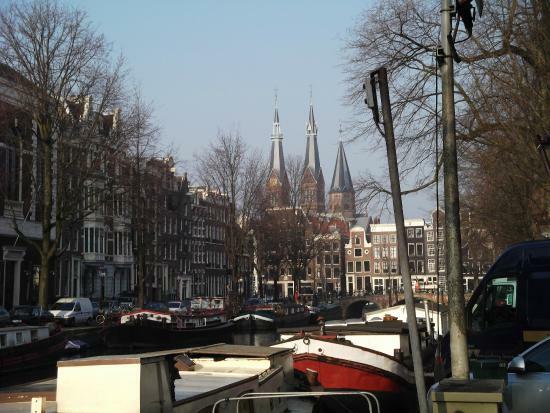 The Museum Quarter, including the Van Gogh Museum and Rijksmuseum, is 10 minutes? 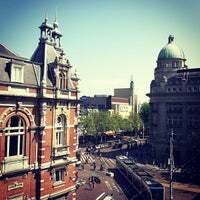 walk away. 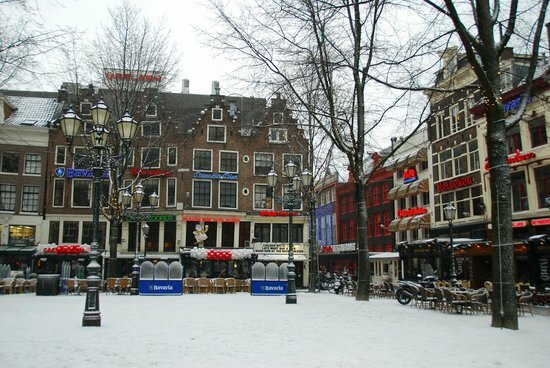 Rembrandtplein is 15 minutes away by foot. 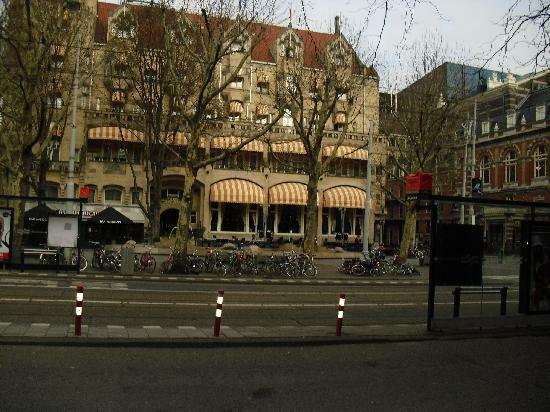 Trams 1, 2 and 5 stop right opposite the hotel with direct links to Amsterdam Central Station in 15 minutes. 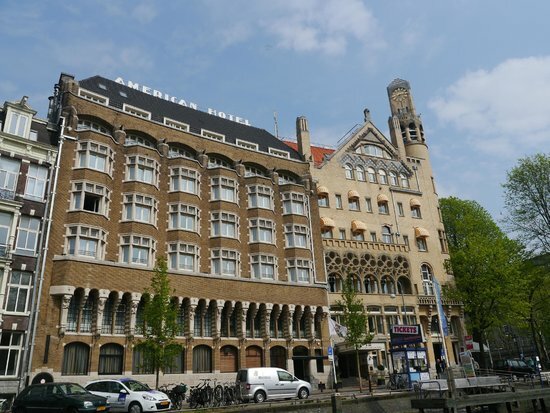 Bus 197 can also be found opposite the hotel and takes you to Schiphol Airport in 35 minutes. 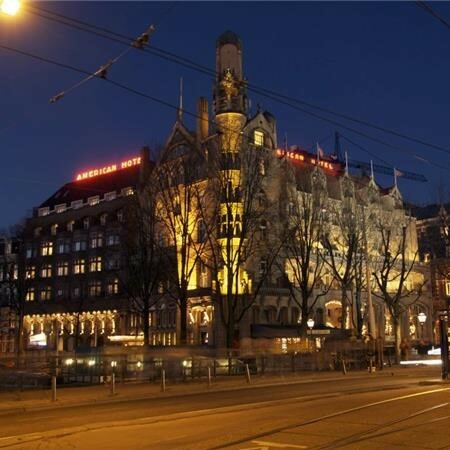 The average price of the hotel name is so many EUR 162.00 per person per night.